A damaged, incomplete and very worn silver possible groat of Edward VI, 1547-1549. 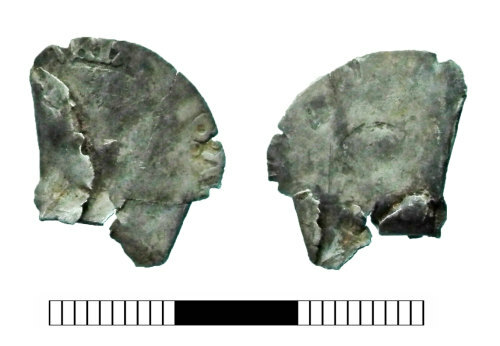 A worn post-medieval silver half groat of Edward VI, Henry VIII posthumous issue, Southwark mint (1547-1549; North 1878). A silver penny of Edward VI, London mint, 1547-1549. North no 1902.